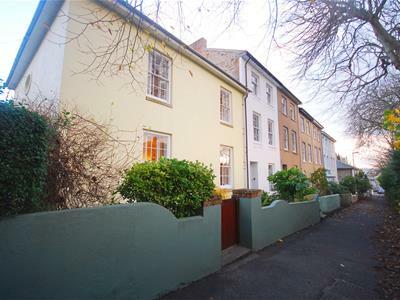 Built in the early 19th Century is this well presented town house. Originally a detached house for the church it now adjoins the adjacent terrace and is situated in a sought after location. The property is situated between Penlee Park and Morrab Gardens and is a few hundred yards from the seafront promenade, open air Jubilee Pool and the town. The accommodation has been extensively updated and maintained to a high standard. The spacious and well proportioned accommodation gives a feeling of grandeur to this fine home. There are many features including high ceilings, period fireplaces and dado rails and stylish window shutters together with parking for 2 cars and a landscaped, walled garden. On the ground floor is a lounge, dining room, kitchen and study/breakfast room while on the first floor are 3 bedrooms, a shower room and the family bathroom. There are three outbuildings; one housing the utilities and the second a general store room. The ancient market town of Penzance has a comprehensive range of facilities including shopping facilities, hospital, primary and secondary schools and a college. The town is rich in history and the architecture in Chapel Street is famous for this as is the promenade and open air Jubilee Pool. Further leisure facilities are dotted around the town with wonderful parks close to the seafront and beach stretching between Penzance and Newlyn. 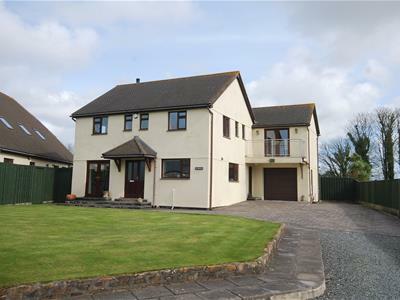 Unique detached family home situated in the village of Crowlas accessed via a gated drive. This individual, sizeable property has been built to a high specification with fine attention to detail throughout. On the ground floor is the lounge with patio doors leading to the garden, a kitchen/dining room and the utility room. On the first floor are 4 bedrooms (3 of which have an en-suite), a family bathroom and an office. The master bedroom also benefits from a balcony overlooking the garden. To the side of the property is a large garage and ample off road parking. SERVICES: Mains Gas, Electric and Water. Drainage has soak away. Crowlas is situated four miles east of Penzance with amenities including a general store, a public house and a popular primary school and church in the nearby village of Ludgvan. The neighbouring town of Penzance offers a wider range of amenities. 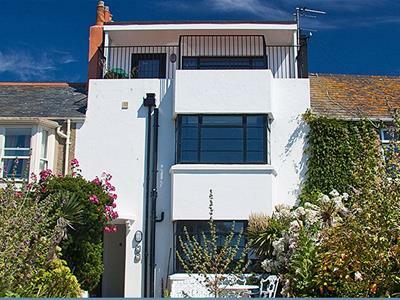 An opportunity to acquire this stunning 1930's Art Deco house situated in one of the most sought after locations in Penzance. Captains Row sits on the Promenade with views over the Jubilee Pool, Mounts Bay and across to the Lizard. The property is currently divided into two luxury apartments which have been successfully let, both on a holiday and short term basis. The ground floor, Captains Deck is a one double bedroom apartment and the first and second floor, Captains Lookout a two double bedroom apartment. The walled garden at the rear has mature trees, shrubs and plants whilst the front garden is mainly laid to lawn with a patio area. The property could easily be reverted back to a family home if required. AGENTS NOTE: PRH Estate Agents advise under the terms and conditions of the Estate Agents Act 1979. a member of the team of PRH has a personal interest in this property. 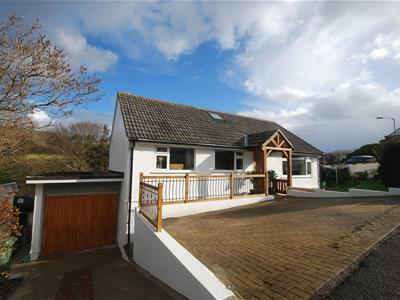 Situated in the heart of a popular residential area in the fishing port of Newlyn. 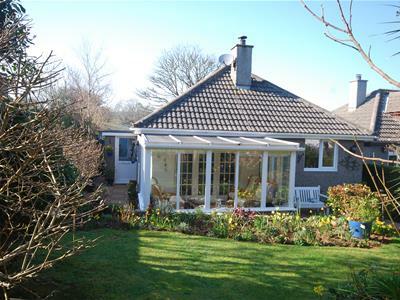 Nestled away from the other properties and enveloped in landscaped gardens is this delightful well presented 3 bedroom bungalow. The light and airy accommodation comprises of a lounge with doors leading to the conservatory, a kitchen/dining room, 3 bedrooms and a bathroom. Both the front and rear garden are landscaped with a miriad of trees, shrubs and plants. There are also patio areas and a summer house with stunning rural views. The property is accessed by a side gate adjacent to the garage and drive. SERVICES: Mains electric, water and drainage. Oil fired central heating. The fishing port of Newlyn is situated a mile south west of Penzance and is famous for Newlyn School of Art and its history with the artist community. The town is a busy fishing port with a large harbour, shopping facilities, office, doctors surgery, primary school, public houses, restaurants and the cinema. 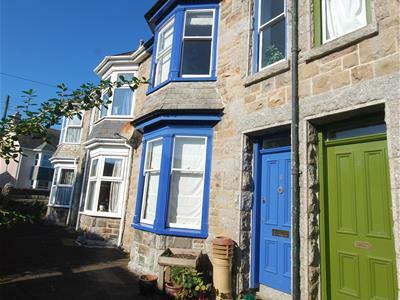 Further amenities can be found in the nearby town of Penzance with a choice of secondary schooling and a railway and bus station which provide services to the rest of the country. ground floor are 2 reception rooms, the kitchen/breakfast room and the bathroom. On the first floor are 3 bedrooms and stairs leading to the attic. To the rear of the property is a courtyard garden and a workshop. The village of Heamoor is situated on the outskirts of Penzance and has a good selection of facilities including a bakery, post office, general store, public house and primary and secondary schools. The neighbouring town of Penzance offers a wider range of amenities. 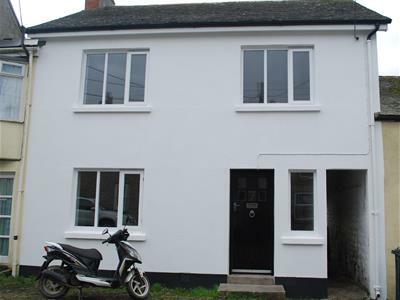 A spacious family home situated in the heart of the popular town of St Just. The accommodation comprises of, on the ground floor a lounge and a kitchen/dining room and on the first floor are 3 double bedrooms and the family bathroom. There are steep stairs leading to the attic which has 2 storage rooms. There is an enclosed patio garden at the rear and side access through the shared ope. SERVICES: Mains electric, Water and drainage, Oil fired central heating. The former mining town of St Just is situated on the rugged north coast of the Penwith peninsula. This popular town offers a range of amenities including a primary and secondary school, doctors' surgery, library, selection of shops, galleries, public houses and a post office. Penzance is approximately eight miles distant with further facilities including transport links to the rest of the country. An opportunity to purchase a second floor (with lift) apartment situated in a purpose built retirement home conveniently located a short distance from the town centre. The light and airy apartment has a large lounge, kitchen, bathroom and 2 double bedrooms, one of which has an en-suite shower room. There is a residents' lounge, laundry room, library and a self contained guest suite, all equipped with an emergency pull system. There is a secure entrance, lift and communal gardens all of which are looked after by the resident house manager. Trafalgar Court was constructed in 2005, each apartment having a 125 year lease. The ground rent and maintenance is £48.30 per week, which includes buildings insurance, service of the security entry system, 24 hour emergency call system, resident house manager, maintenance of the exterior, grounds and building, heating and lighting to the communal areas, use of laundry, lift maintenance, window cleaning and water rates.